Join us on June 8th from 11 a.m. to 2 p.m. at our ICS Ogden store for an open house event! As the Intermountain West’s leading concrete supplier, we’re proud to host representatives from many prestigious manufacturers. 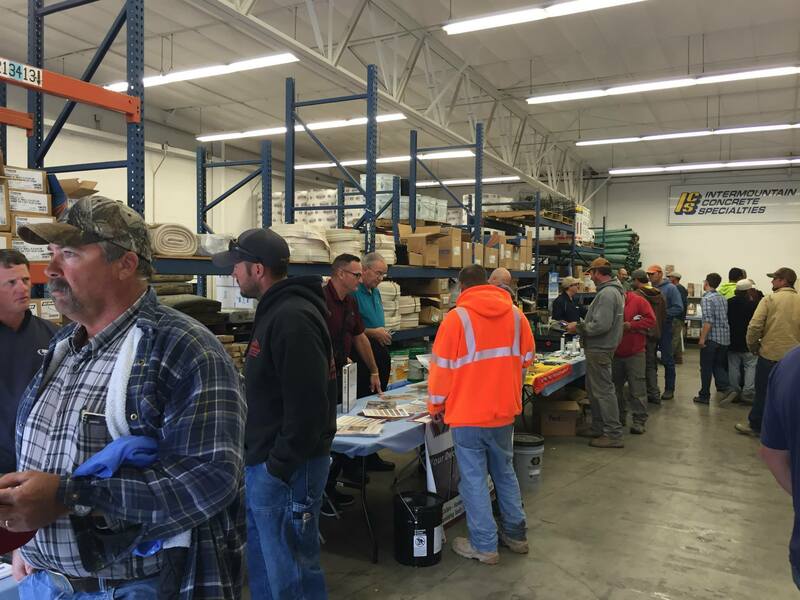 Stop by ICS Ogden during our open house event and visit with reps from W.R. Meadows, Dayton, Husquvarna, Innotech, Allen Engineering, Mapei, HH Sales, BASF, MBW, Greenstreak, SIKA, Kraft Tool, NewLook, ADA Solutions, Zurn, and Adhesive Technologies. 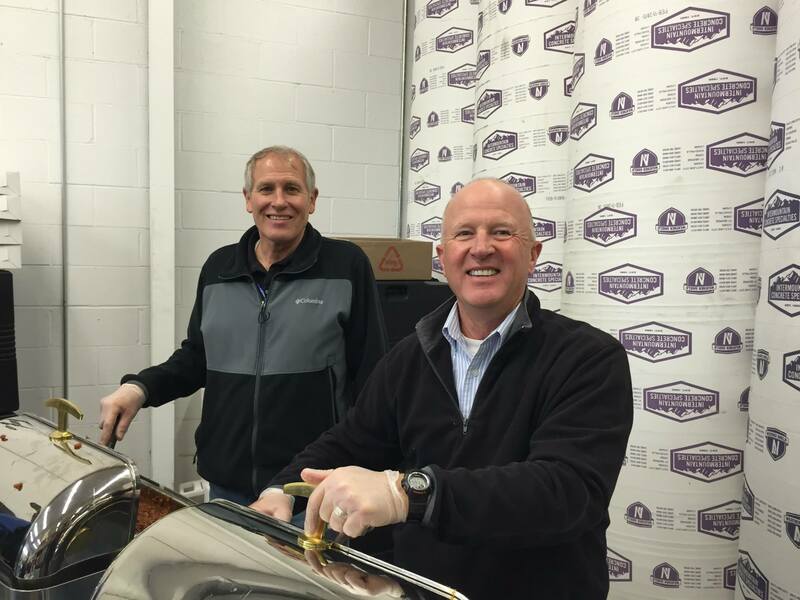 Previous open houses at our Salt Lake City and Logan stores have brought more than 500 attendees. We hope to see you this year at ICS Ogden! Decorative concrete has gained popularity over the past several years, and now another design trend is on the rise: concrete furniture. Once a staple material for sidewalks and driveways, concrete’s versatility has found it’s way indoors. Concrete is an easy, affordable and creative way to design and build custom furniture that brings a modern look to home décor. With its ability to be formed into just about any shape, concrete is an ideal material for crafting coffee tables, dining tables, seating, bookshelves, office furniture, even bed frames. And we’re not talking boring, gray, utilitarian furniture. Today’s advanced decorative concrete finishes such as concrete paint, stains, and stamping tools can create a high-end look that mimics slate, tile, stone and other sophisticated finishes—without the high price tag. 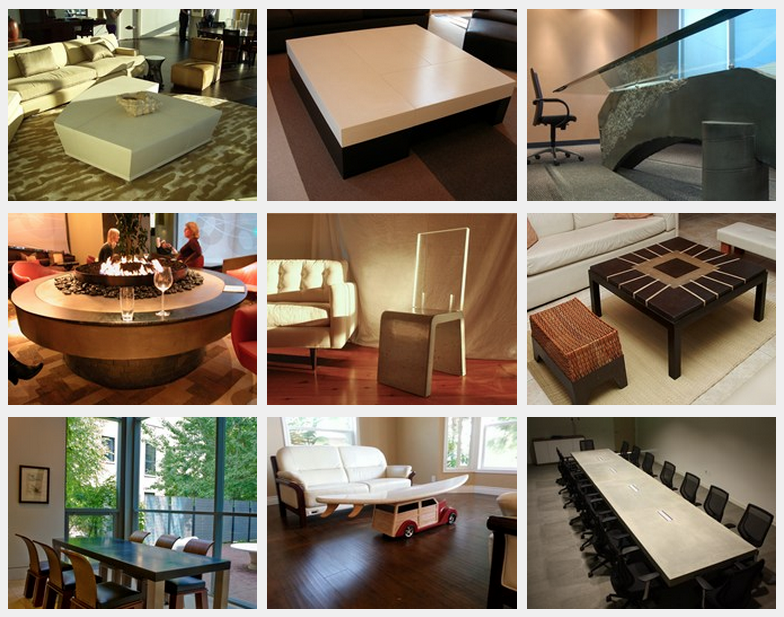 The versatility of concrete lends itself to furniture that can be created to beautify any type of décor. Whether your style is modern or contemporary, industrial chic or rustic, concrete furniture can be custom created for any room in the home, with a custom decorative concrete finish that complements your home décor style. Polished concrete, for example, adds a high-end designer look. A decorative slate or tile adds sleek, contemporary style. A decorative wood-finished concrete piece can look like the real thing, and be created to match rustic or modern styles. Minimally finished concrete furniture complements loft-style spaces. Painted concrete furniture is pure personality. Where to start? As with any furniture, first define your style, then design your room piece by piece. One thing to consider with concrete furniture is placement. This will not be a piece you’ll be rearranging often! Then accessorize just like you would any other piece, with blankets and pillows to soften the look of seating, or with knickknacks to add your personal touches of style. Intermountain Concrete Specialties carries the latest in decorative concrete finishes, as well as tools, stamps, and molds to create any project you can dream up. 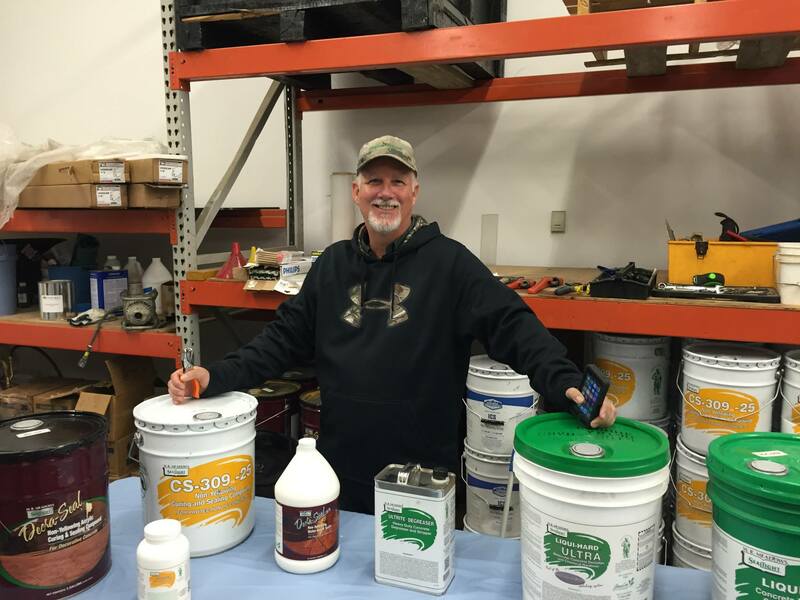 Visit your local Intermountain Concrete Specialties showroom for advice on integral colors, paints, stains, dyes, sealers, forming equipment and more. Whether you’ve just moved into your first home, or you’ve been settled in your forever home for years, you probably have a list of home improvement projects you’d like to tackle. Chances are there’s at least one concrete project on your to do list, whether it’s an aesthetic home improvement such as decorative concrete countertops in the kitchen, building an outdoor kitchen, or applying a decorative concrete finish to your floor, or a more utilitarian application such as pouring a new concrete RV pad or repairing a cracked backyard patio slab. 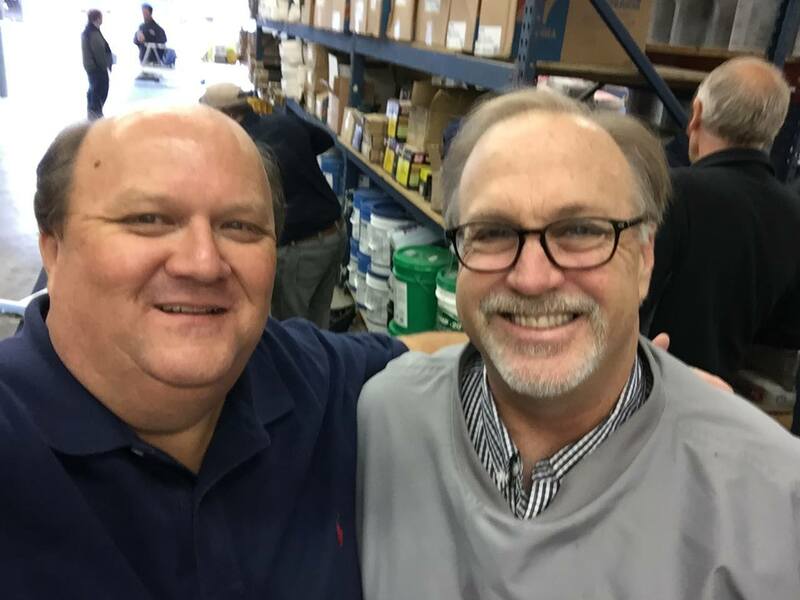 With more than 40 years experience in the concrete industry, Intermountain Concrete Specialties President Tony Frazier says that the first key to a successful concrete job is doing your homework. “More preparation is always better than hurrying to finish,” he says. “Make sure you have enough materials to complete the project, and allow enough time to complete your project before dark.” It’s also important to make sure the temperature is right for your concrete job application. Testing a sample area first can help you determine whether conditions and materials are right for the job. Tony notes that his best tips are usually the results of his own trial and error! “For everything I have learned, I probably had several failures because I didn’t follow my own learned lesson,” he says. “My latest was staining a new addition to my patio. Instead of testing a sample area to see if the color matched the stain I had applied three years earlier, I pushed through and the color doesn’t match at all!” Tony says. “I’ve also run short on one of my concrete pours.” He’s learned over the years that planning helps, and so does sharing your failures and successes with others. It never hurts to ask for advice! Brace your forms well. It is much better to be over-braced than under-braced. Double-check your formwork for bracing, level, plumb. size, reinforcing, etc. the day before you order concrete. Use compacted gravel under any concrete work and provide for water drainage where necessary. Tell your concrete dispatcher what type of concrete you are pouring so he can use the proper mix design for your application. Don’t skimp on the PSI of the concrete you order. 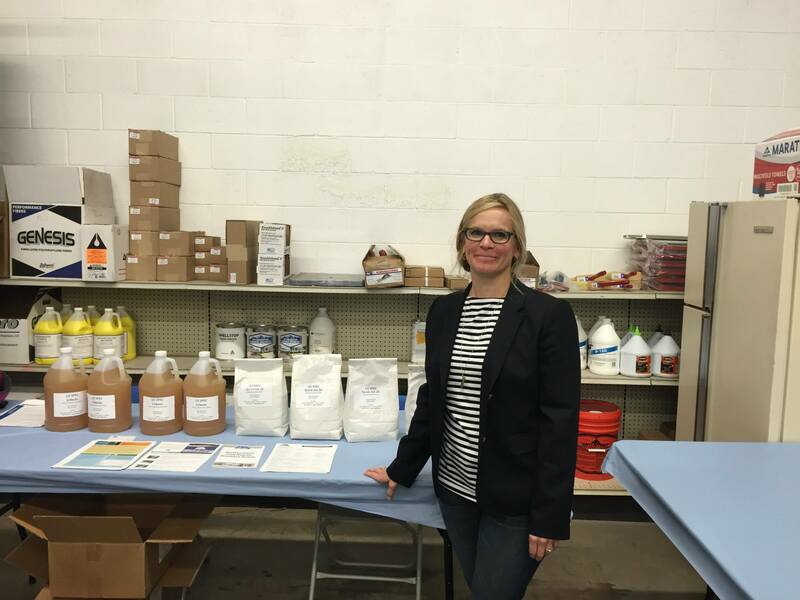 “The first thing I learned is to have enough help and equipment to do the job, “says Kelly J. Harman, Vice President of Sales at Intermountain Concrete Specialties’ Salt Lake City location. “Concrete can get away from you if you don’t have enough help on the job.” He notes that all the effort you put in to have a beautiful, durable job that you will want to enjoy for years and show your friends will be of little value if you don’t have the right tools to get the look you want. “Your local ICS store can help you with the right tools and equipment,” says Gary, “but you’re on your own to make friends!” he jests. While we can’t supply you with the crew, Intermountain Concrete Specialties does have the tools, materials, equipment and know-how you need. Visit any of our six locations and we’ll get you started on the concrete road to success! Understanding how to pour and handle concrete safely and efficiently goes a long way toward getting the job done right. Concrete wall forms are used to hold poured concrete in place as it hardens in order to create strong, stable, exact forms. One cubic foot of concrete weighs about 150 pounds — that means an average concrete project may have thousands of square feet of concrete walls that are going to need a lot of support as they’re being formed. Concrete forms are typically made of strong wood or metal; which type of concrete form to use usually is determined by the amount of concrete it will need to support. A concrete form supporting factory walls, industrial buildings, bridges or large foundations, for example, will need much more support than the shallow, flat forms used to create a concrete driveway or patio. In the former case, steel-reinforced forms are often used to support the massive weight of the concrete. Plastic and fiberglass forms may also be used in some concrete wall forming applications. ICS was able to help Jeff Call Construction from Preston Idaho with the forming supplies on this project. Intermountain Concrete Specialties carries thousands of concrete forming products, ties and materials, including snap ties, wall ties, form cleats, brackets, lifting hardware, inserts, spreader cleats or flat ties. We also have a complete line of concrete wall forming rental equipment, including plywood concrete forms with Jahn bracket clamps and snap ties. Our concrete wall forming and equipment lead the industry in quality, safety and ease of use. We represent the finest manufacturers, tools and equipment, so you can rest assured your concrete forming product will be exactly what you want it to be. We offer a wide variety of Gates Concrete Forming Systems concrete forms, from residential handset to heavy commercial gang form solutions. This Basics of Concrete guide by Gates helps contractors and DIYers understand the nature of concrete and how to best manage concrete pouring, pressure and support. 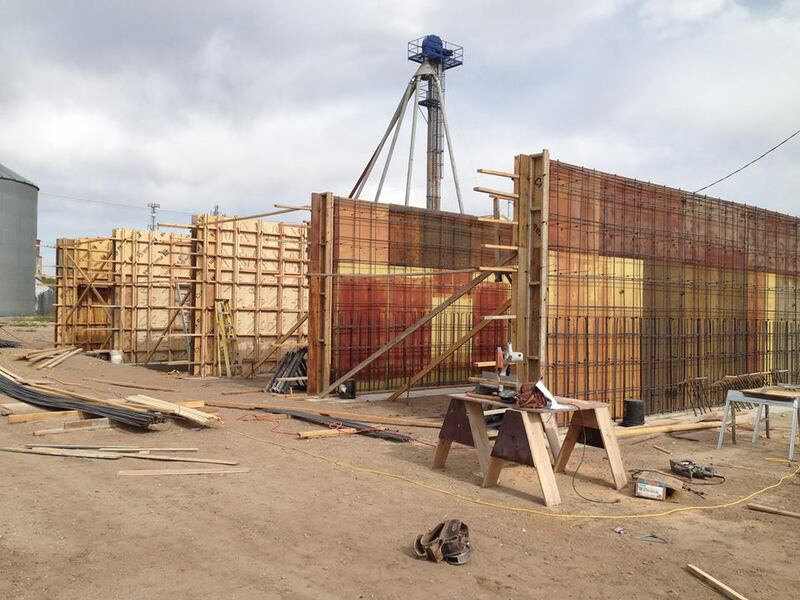 Dayton Superior concrete wall forms deliver precision endurance, performance and strength. Their Symons brand of concrete forming systems has been a preferred solution for the past century. From the smallest do-it-yourself project to the largest project in your city, we have the wall forming supplies and equipment to get the job done right. Visit the Intermountain Concrete showroom nearest you for rental equipment, wall forms and more. As a leading supplier of concrete products to the Intermountain West since 1950, we appreciate working with companies that have been in business for a long time. Intermountain Concrete Specialties is a proud supplier of W.R. Meadows premium-grade construction products, as part of the many concrete product lines we carry. W.R. Meadows has been family owned and operated since commencing business in the concrete industry in 1926. In line with our founding principles, W.R. Meadows is dedicated to being a valued supplier of specialty concrete construction materials while valuing quality, service and integrity. Keeping your concrete job protected during the curing stages is critical as curing is an essential step in producing strong, durable concrete. 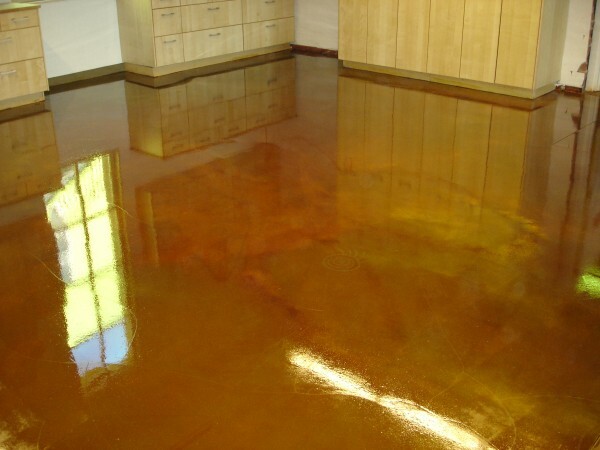 Once properly cured, protecting the concrete with a proper sealing compound is required to insure resistance to staining and premature degradation. We carry a variety of concrete curing, sealing and protection products, including the best-selling DecraSealTM by W.R. Meados. Decra-Seal is a non-yellowing, acrylic-based, high solids, liquid curing and sealing compound for decorative concrete. Clear, transparent and easy to apply, Decra-Seal offers improved resistance to water, alkalis and mild acids with a hard yet flexible, clear film. Decra-Seal is specifically formulated for the decorative concrete market. Keeping moisture out of cracks and joints in concrete can be challenging at best. W.R. Meadows joint sealants hold up to the most strenuous of environmental factors and situations. We carry a variety of self-leveling and non-sagging joint sealants in a variety of colors and finishes. Backer rods are also a critical component to proper joint sealing. 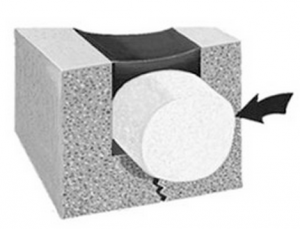 W.R. Meadows’ closed-cell foam technology eliminates air and moisture entrapment, installs quickly, is easily compressible and stays in place. Finally, to help prevent your concrete from cracking, we carry a variety of expansion materials including foam, rubber, ceramar, metal and composite. Looking to seal a basement? A high-rise parking terrace? Bridge or plaza decks? Take control with masonry coating and concrete damp-proofing products. For over 85 years, W. R. Meadows has been recognized as the leader in developing and producing quality concrete waterproofing products for the construction industry. We supply the W.R. Meadows complete moisture control package, backed by our know-how to help your job be successful. Watch this video to learn more about concrete waterproofing. 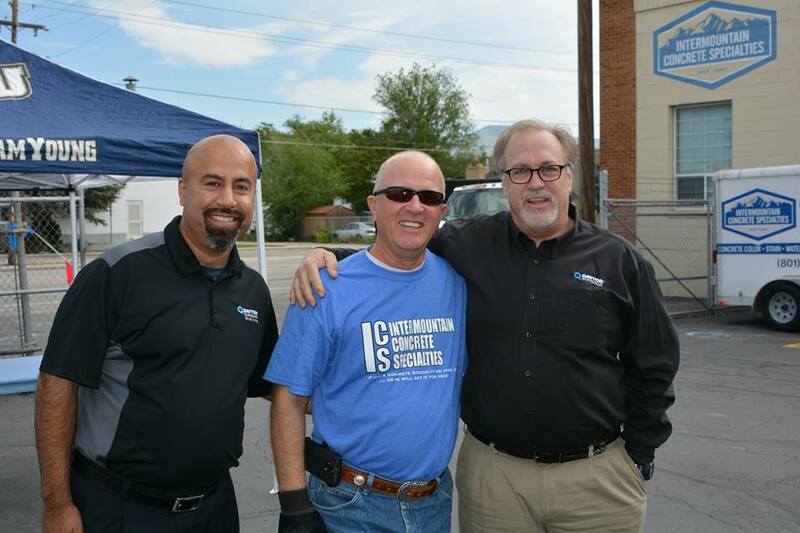 Intermountain Concrete Specialties would like to extend a big “Thank You!” to all of our valued customers, especially those who attended our two Open House celebrations, commemorating Intermountain Concrete Specialties’ 65 years in business. 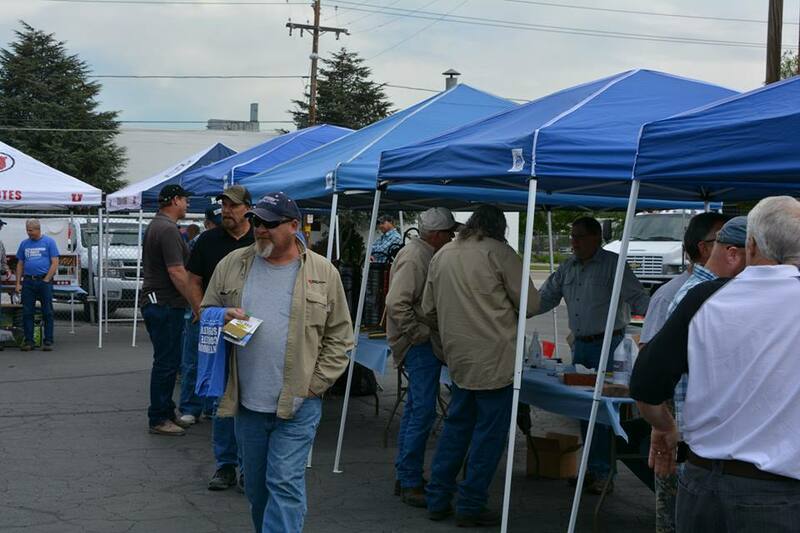 Open House dates were May 19, 2015 at our Logan showroom, and May 21, 2015 at our Salt Lake City location. 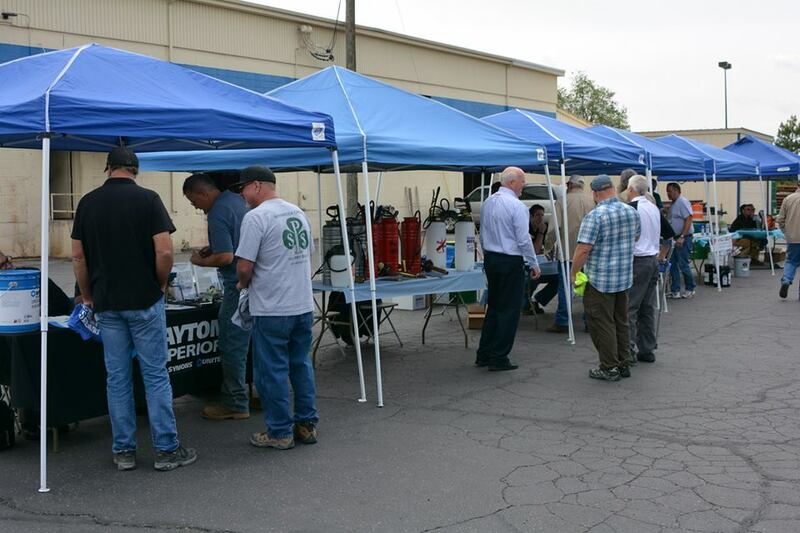 A combined total of more than 500 customers attended our Logan and Salt Lake City Open House events for lunch, door prizes, and a chance to visit with top manufacturer representatives. 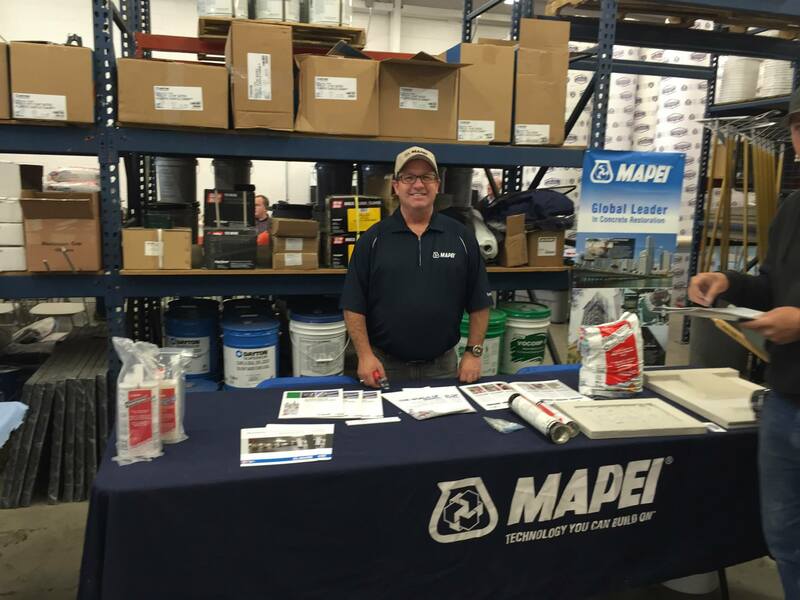 As a leading supplier of concrete products to the Intermountain West, our Open House celebration welcomed representatives from Innotech, Quikrete, WR Meadows, Hi Country Sales (representing Kraft Tools and Spectra Lasers), Aspentown (representing Marshalltown and Diamond Products), Mapei, Dayton Superior, Lyons Manufacturing, HH Sales (representing Brentwood and Swiss Sprayers), Crete/Commercial Building Solutions, Brad Steele/Chapin Manufacturing, Sika Corp/Greenstreak, US Spec, BASF, MBW/Clipper (represented by Lew Hudson) and more. 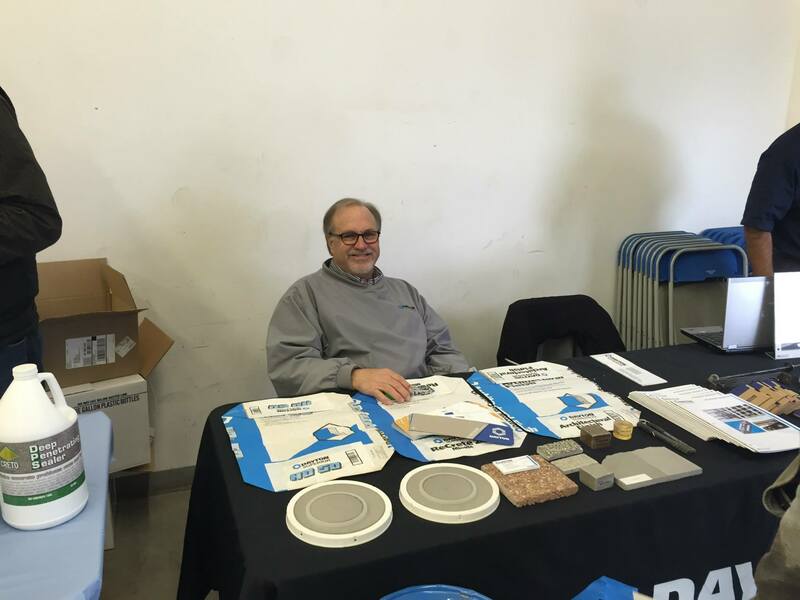 Reps were on hand to share knowledge about the latest innovations in concrete products. 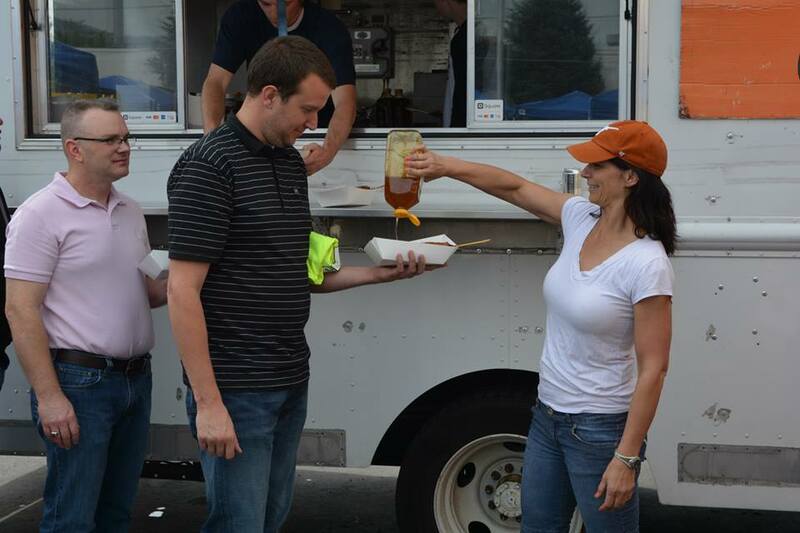 Serving up lunch with a smile! 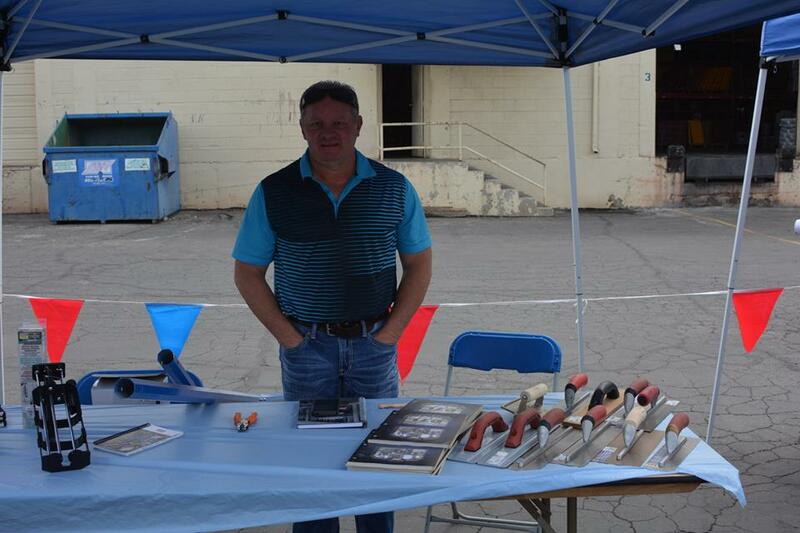 Intermountain Concrete Specialties sales rep Tony Frazier with concrete manufacturer product representatives. 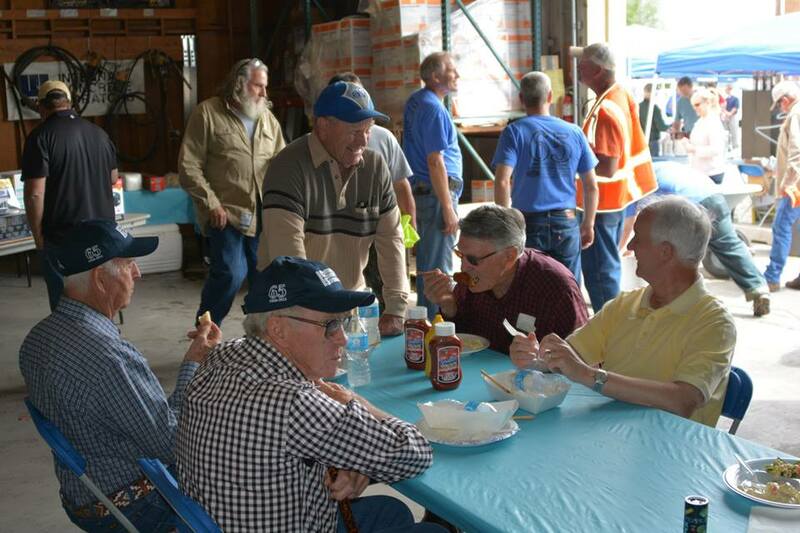 Thank you to all of our customers and representatives for 65 great years in the concrete business! Founded in 1950, Intermountain Concrete Specialties continues to carry on its tradition of supplying the concrete industry in the Intermountain West with state-of-the-art concrete products, tools and know-how, all backed by superior customer service. 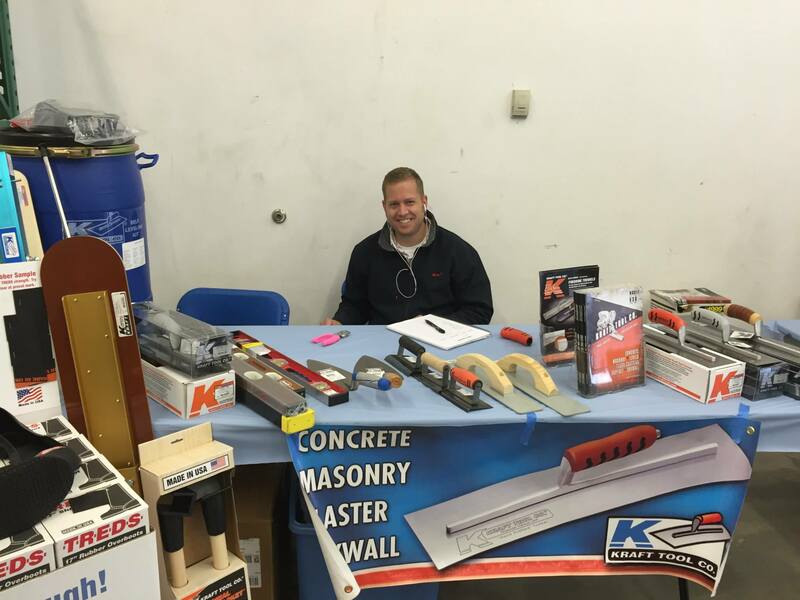 Stop by any of our six locations throughout Utah and Idaho to find out about the latest and most reliable concrete products on the market today. 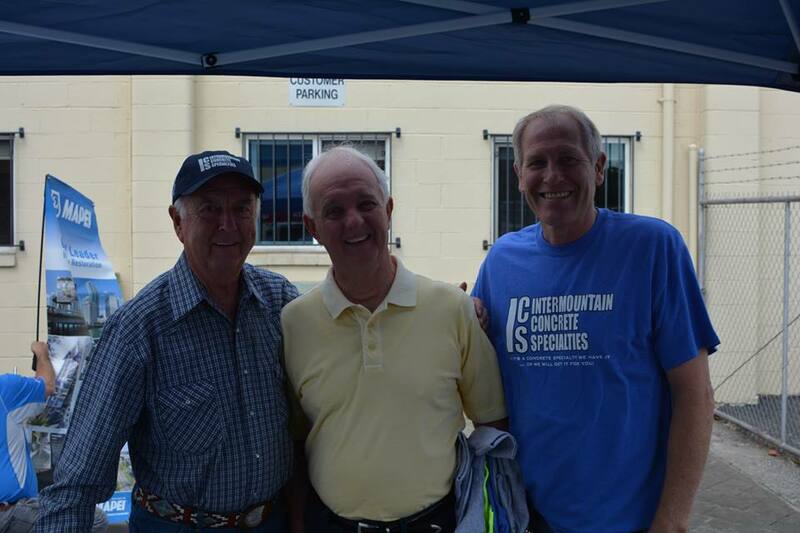 Open House — Intermountain Concrete Specialties Celebrates 65 Years! Please join us from 11 a.m. – 1:30 p.m. for lunch, door prizes, and a chance to visit with top manufacturer representatives. 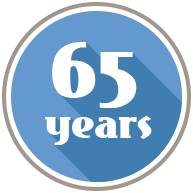 We value our customers and would love to celebrate our 65th anniversary with you! Intermountain Concrete Specialties was created in June 1950 to fill a specialty need in the Salt Lake City construction market recognized by company founder Allen Terry. Beginning with one small office in downtown Salt Lake City, Intermountain Concrete Specialties quickly expanded. By 1959, ICS moved to its current Salt Lake City location at 425 West 1700 South, and we’ve stayed there ever since. 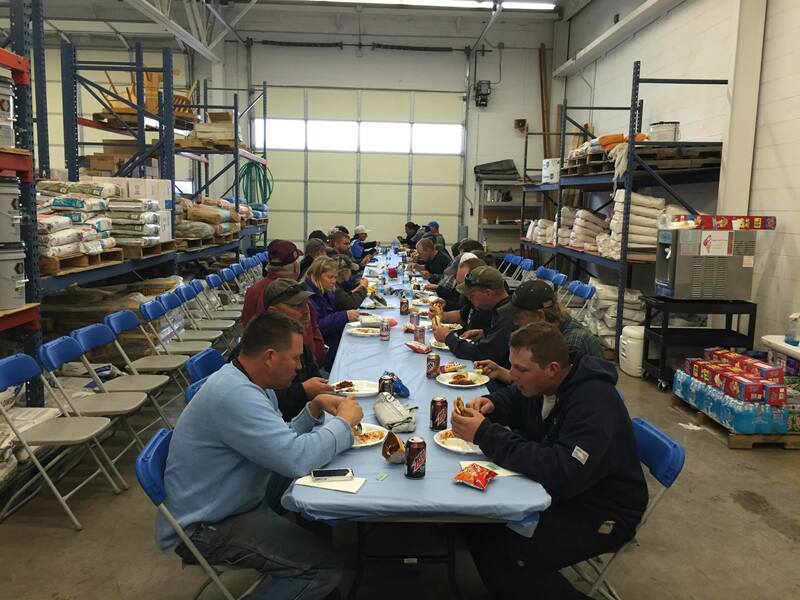 Today, Intermountain Concrete Specialties has six convenient locations across Utah and Idaho. Terry’s original vision to fill a niche in the market was driven to success by a strong commitment to superior customer service, and the desire to make a meaningful contribution to the concrete industry by supplying state-of-the-art concrete products, tools and know-how. 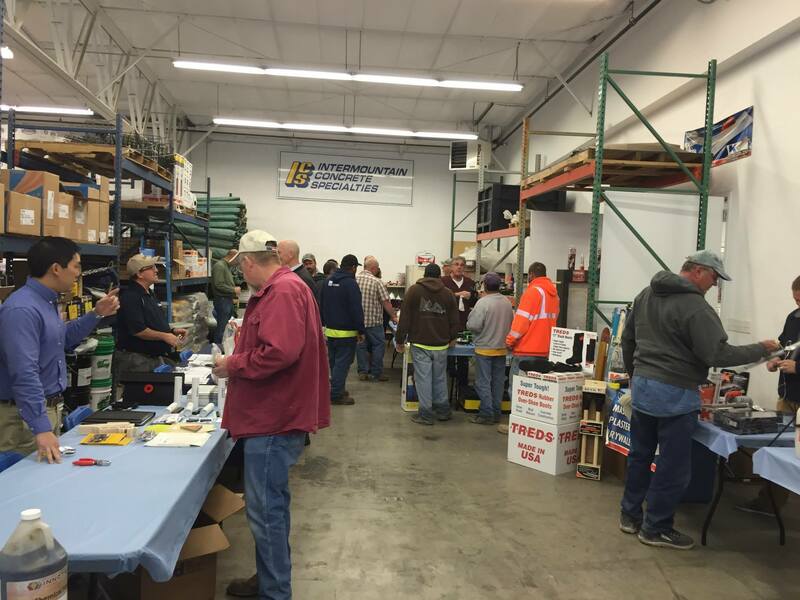 We continue this tradition today by educating ICS employees in the latest concrete technologies, and training them to provide prompt, efficient service and expert information to our customers. 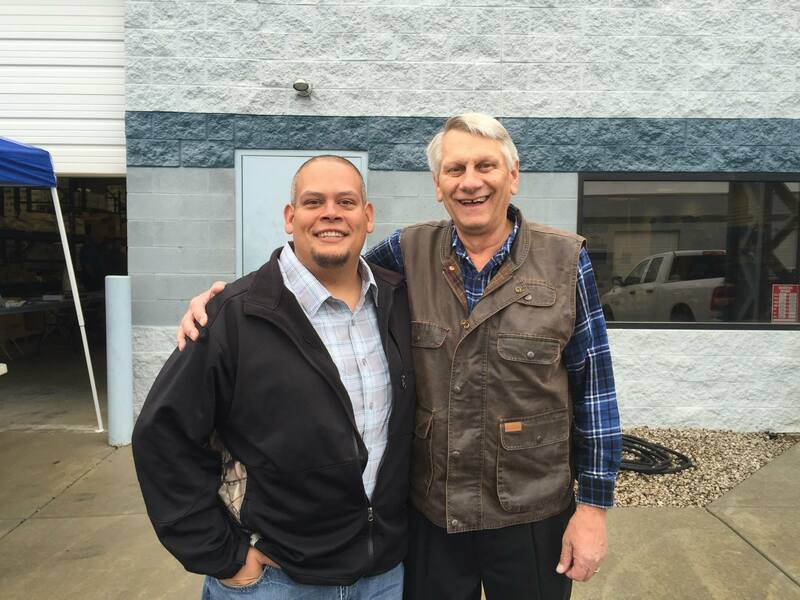 True to Terry’s vision for Intermountain Concrete Specialties, we buy in volume and passing the savings on to our customers. We represent many manufacturers and provide thousands of products and tools. In other words, if it’s a concrete specialty, we have it! Both professionals and do-it-yourselfers benefit from our large selection of concrete supplies, backed by exceptional customer service. We also maintain our own rental inventory and shoring products and operate our own rebar fabrication facility to provide customized rebar products. Learn more about us by visiting any of our six showrooms, or during our open house celebration! It’s spring — and that means its time to start planning your spring and summer concrete projects and getting the concrete supplies needed! 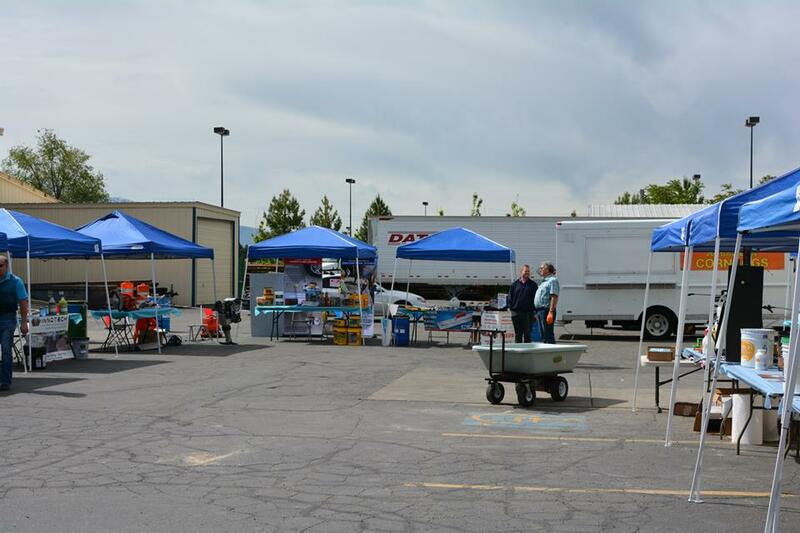 Both residential DIYers and commercial contractors have been visiting Intermountain Concrete Specialties showrooms for concrete tools, supplies and project advice. We carry hundreds of concrete tools just for DIY Spring projects, including Marshalltown and Kraft Tool. Both of these high quality brands are proudly made in the U.S.A. In business for 120 years, Marshalltown has set a high standard of quality for its tools since day one. Beginning with a line of plastering trowels for masonry in the late 1800s, Marshalltown’s tools now include high quality concrete tools used by professionals and homeowners. Intermountain Concrete Specialties carries over 100 Marshalltown tools, including screeds, hand groovers and edgers, pool trowels, bull floats, finishing trowels, concrete form stakes, contractor grade shovels, corner trowels, curb tools, stake tools and pullers, straight edges, placers, tampers and much more. 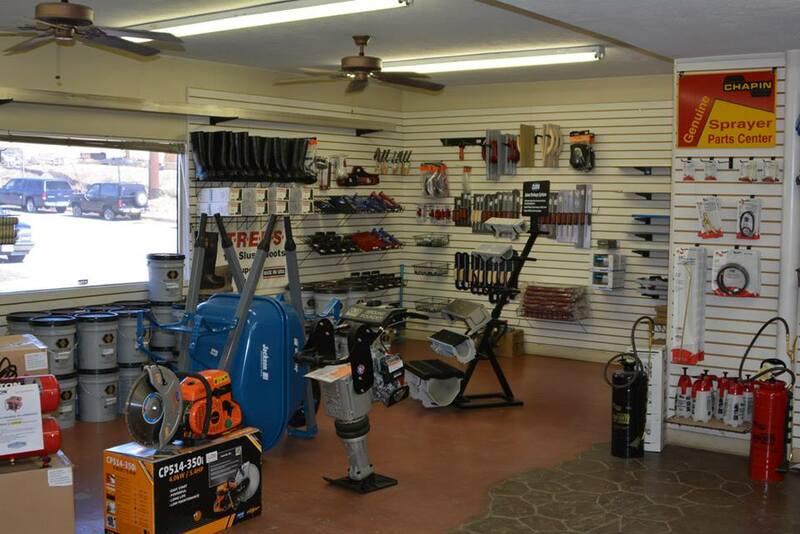 As dependable as Marshalltown itself, these American-made tools are made to last! For the commercial contractors to the beginner home DIYer to and everyone in between, Intermountain Concrete Specialties can provide the concrete tools and know-how to complete any project. Visit a showroom near you and talk to our expert staff!